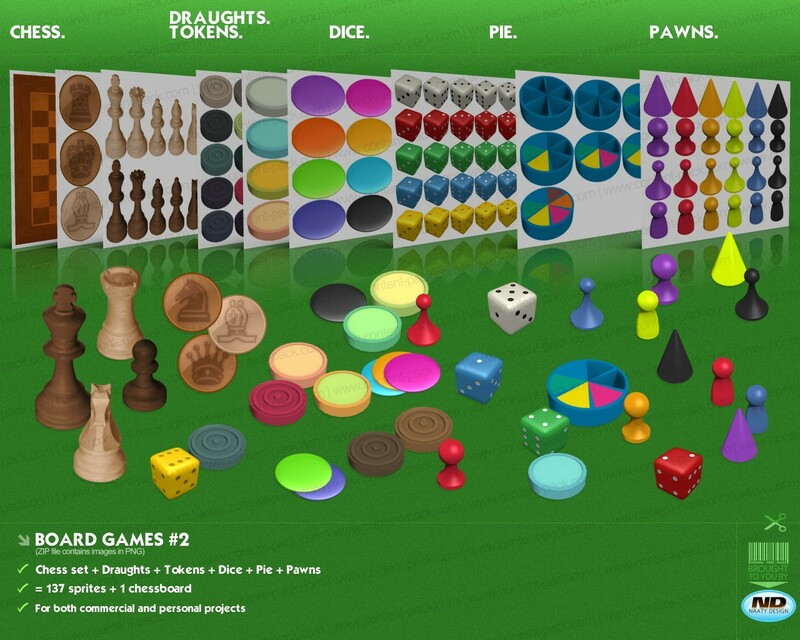 Chess Set & Icon Version + Checkboard + Sets of Draughts + Tokens + Dice + Pie + Pawns. zip archive contains 9 files in .png format featuring 137 sprites (8 Sprite Sheets) + 1 checkboard. Boost your motivation using professional graphic assets! Partager la publication "Boardgames volume 2"